Mother's Day is approaching and everyone is scrambling for gifts. The Linda Blair Worldheart Foundation has so many females that were mama dogs at one point and they want a loving day too! 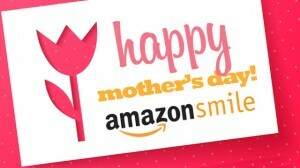 Won't you consider making a donation and or purchasing your OWN MOMS, their beautiful flowers or last minute gifts through our shopping links through Amazon Smile, Good Shop, or IGive where they have so many beautiful flowers, candies and gifts for your mother, while donating back to the Linda Blair Worldheart rescue dogs! Times are so hard, but the gift of love must be spread, and we wish you and yours, a beautiful Mother's Day weekend! 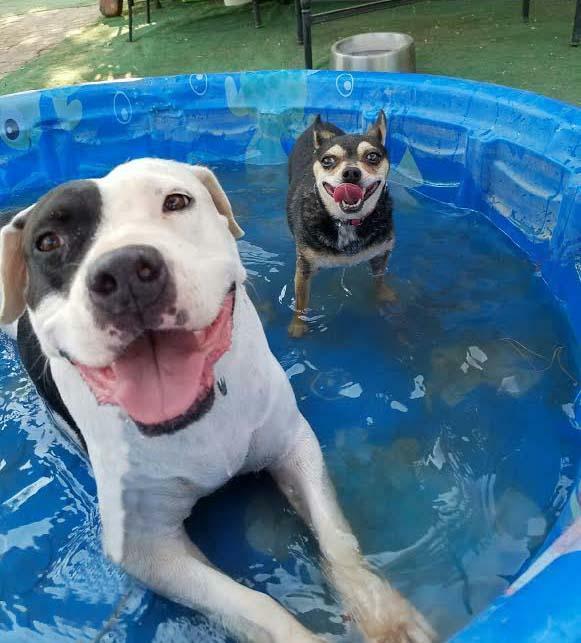 Our own rescued, mama dogs, are now spayed, and are asking for donations through our PayPal so they may have treats, good healthy meals, a $10.00 donation for a baby pool to swim and splash around in, with the oncoming summer heat! Maybe, you'd like to join our Crowdrise Fundraiser, so we may supply air conditioners to the four new K-9 cottages! With your donations, we purchased these amazing 8x10, cottage kits on sale, last fall, after the fires and rescued so many dogs in need. They were insulated and comfortable for winter, but now they need the air conditioners for the oncoming, sweltering, summer, desert heat! Please see our fundraiser below! 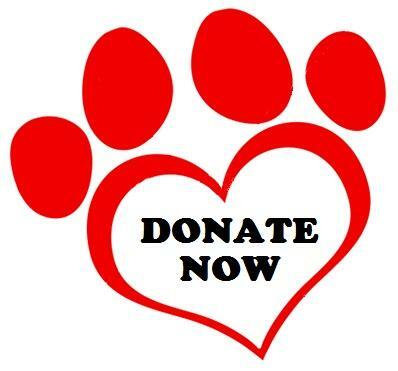 If you want to make a donation of treats, help us with our cancer prevention food program for the dogs, please make your donation through our Donate button - put in the message bar "for the mama dogs, happy Mother's Day, for cookies, treats and a baby pool! " Don't forget to continue to shop on our Amazon Smile site! Every one of your shopping needs will be rushed to your door and the companies will donate back to the charity a small percentage on your behalf! 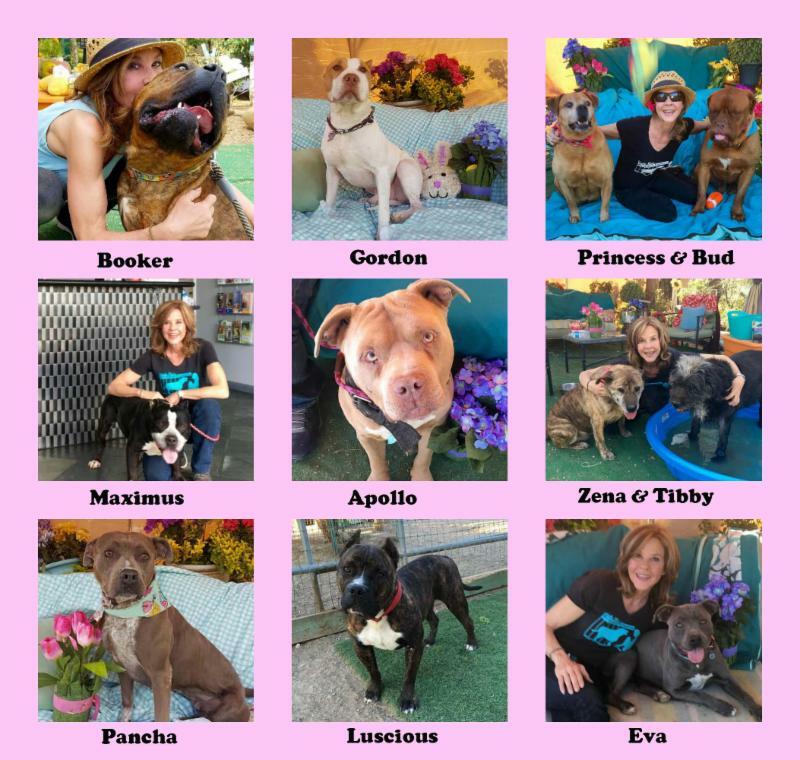 Wishing you a very happy Mother's Day and please see the photos below of so many of our mama dogs after their rescue and so grateful because of your love and support! All of their rescued K9 friends wish you a happy Mother's Day as well! Linda Blair Worldheart Foundation thanks you so much for your support and donations! I, as a mother to all, ask only for donations and gifts for my rescue dogs at LBWF. iGive button at participating retailers - up to 3% of your purchase is donated to us! Use GoodShop and GoodSearch for all your holiday and daily searching and shopping needs! Each search generates proceeds for LBWF! ,as your charity of choice through Amazon Smile! Give Your Pets' The Gift Of A Long, Healthy, Quality Of Life! 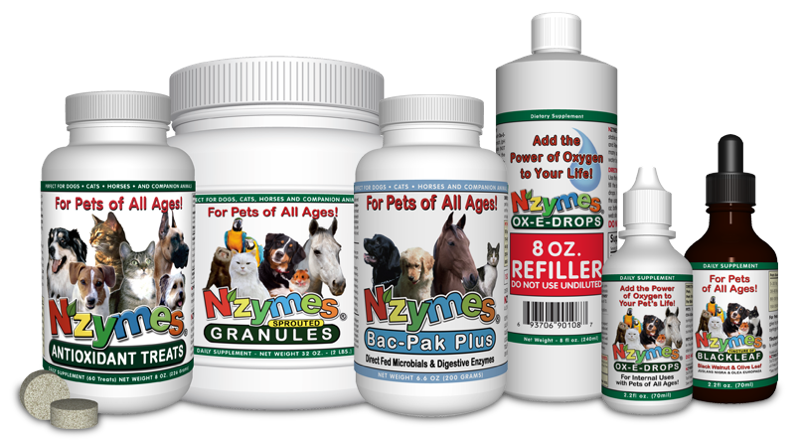 Nzymes is a staple company in our cancer prevention work and highly recommended pet care for you and all your companion animals. I use it on all our rescue dogs and have seen the most miraculous results. 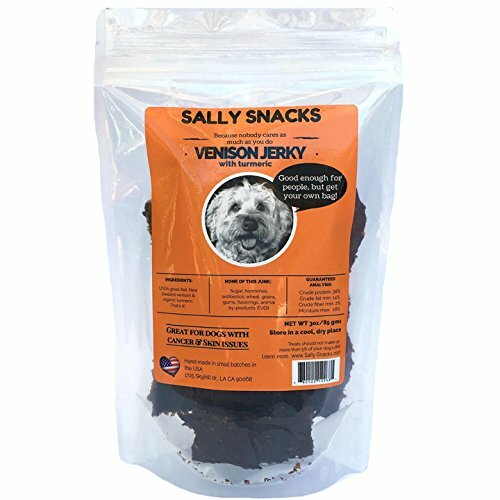 I encourage you to use the 10% gift discount right now by ordering through their phone line (877-816-6500) and requesting a "Linda Blair Special" discount on their Nzymes products. Please visit https://www.nzymes.com/ to read more about these amazing products! Please Support Our Rescue Dog's Canine Cottages Air Conditioner Crowdrise Fundraiser! have them in stock. We need to replace two of the units that have stopped working due to the dirt and high usage in the last few years. Universal Pictures, Amblin Entertainment, Reliance Entertainment, Walden Media and Pariah Entertainment Group present a PG, 100 minute, Adventure, Comedy, Drama, directed by Lasse Hallstrom, screenplay by Cathryn Michon and novel by W. Bruce Cameron with a theater release date of January 27 2017. Newtown, CT, October 28, 2016 – - With The Exceptional Partner Service Dogs’ (TEPSD) pilot program successfully underway since January 2016, the non-profit organization has announced the arrival of Noodle, a 12-week-old Labradoodle. She joins the original five TEPSD – 10-month-old Labrador Retriever puppies -- all being trained to become Psychiatric Service Dogs for those in need throughout the region. The mission of TEPSD is to transform lives by raising and training Psychiatric Service Dogs to match -- at no cost -- with children and adults suffering from psychiatric disabilities, while engaging and educating the community of Newtown in the process. This is done with the help of Newtown schools, teachers, students, and families who are an integral part of raising and socializing the dogs as well as educating their peers about mental illness. Noodle was generously donated to TEPSD this month by Blueberry Cottage Labradoodles and, like the original five Labradors, she comes from a well-sourced, highly established service dog breeder who breeds meticulously for temperament, workability, structural soundness, and health. TEPSD puppies are exposed to early neurological stimulation that makes them ideal for this job. “Bringing Noodle to TEPSD is a great opportunity for us because she is a hypoallergenic dog and can go into classrooms during training at schools with our teacher puppy raisers, where there may be students with severe allergies to the fur on the Labradors. We look forward to continuing to add more dogs to the program and help as many people as possible. Each dog costs $25,000 to raise for their first two years before being placed with their handler. With proper funding and support across the country, we want to keep expanding. Lives can be changed for the better with a service dog and there is absolutely no time to waste,” Hill adds. The first five puppies – Bella, Blue, Harry Jake, and Taco - are almost halfway through their two-year service training, while Noodle is just getting started. TEPSD aims to raise enough funding to consistently have dogs at every stage of the process -- some coming in to teachers’ homes and schools to be trained, and others matched with their human handler and well on their way to making someone’s life easier. “And, while all of this is happening, Newtown gets to be an important part of the process. Everyone benefits,” says Hill. About The Exceptional Partner Service Dogs: Founded by Certified Professional Dog Trainer and dog behavior specialist Abby Hill in 2016, the 501(c)(3) non-profit raises Psychiatric Service Dogs in Newtown, CT for civilians struggling with mental illness. While the dogs are being trained and raised in Newtown, they will be equally considered for service to applicants struggling with mental illness throughout the region. The Exceptional Partner solely depends on donations to operate. The cost of adopting, raising, training and providing proper healthcare for service dogs for the first two years of their life prior to placement is approximately $25,000 per dog. Learn more about the program and how to apply for a service dog at www.newtownservicedogs.org. NEW YORK–The ASPCA® (The American Society for the Prevention of Cruelty to Animals®), as part of its national "No Pet Stores Puppies" campaign, urges holiday shoppers to help fight puppy mill cruelty by refusing to shop at pet stores and on websites that sell puppies. The holidays are one of the busiest times of the year for pet stores as many families hope to give the gift of a new puppy, but many consumers are unaware they are supporting the inhumane puppy mill industry by shopping for anything at pet stores and websites that sell puppies. As part of its No Pet Store Puppies campaign, the ASPCA is promoting a holiday video called "What Not to Buy? Pet Store Puppies!” and encouraging viewers to share the video on their social networks, thereby raising awareness about the connection between pet store puppies and puppy mills. Operators of puppy mills breed dogs in unsanitary, overcrowded conditions where profit is given priority over the well-being of the dogs. The ASPCA believes that consumer action is a critical element in the fight against puppy mills, and urging consumers not to shop for anything—including food, supplies, or toys—at stores that sell puppies is an effective way to stop the demand for puppy mill dogs. To learn more about the ASPCA’s No Pet Store Puppies campaign and to sign the pledge, visit www.NoPetStorePuppies.com. Silver Spring, Md. – Whether exhibiting human-like behavior or living an existence so foreign it is fascinating, the animal kingdom has the power to mesmerize. Today, Discovery Communications announces the debut ofAnimal Planet L!VE, featuring unfiltered, round-the-clock access to the compelling worlds of the beautiful, cute and misunderstood. The 24/7 digital experience builds on Discovery Communications’ long-standing success with live animal cams, including Penguin Cam and Shark Cam, and acts as a digital complement to Animal Planet and its on-air programming. Ant Cam: A childhood ant farm has nothing on this colony of leafcutter ants from Audubon Butterfly Garden and Insectarium in New Orleans. Beluga Cam: In one of several cams from explore.org’s Pearls of the Planet collection, the sleek Beluga whales from Vancouver Aquarium are put in the spotlight, entrancing audiences. Calf Cam: Watch baby calves find their legs and explore a whole new world from the South Mountain Creamery in Middletown, Maryland. Chick Cam: Spring has sprung for these adorable chicks that, along with the calves, call the South Mountain Creamery home. Cockroach Cam:While feelings may be mixed on these creatures that have inhabited our planet since the Cretaceous period, viewers will be mesmerized by their activity and surprise setting inspired by the southern home of Audubon Butterfly Garden and Insectarium. Kitten Cam: Launched in November 2012, the adoptable kittens from the Washington Animal Rescue League in the nation’s capital have pawed their way into the hearts of online audiences. Pacific Reef Cam: In partnership with National Aquarium, this cam lets ocean lovers visit a pacific reef habitat without the scuba gear or getting wet. Penguin Cam: Featuring the best-dressed ofAnimal Planet L!VE, Audubon Aquarium of the Americas shares their Rockhopper and African penguins, temperate climate birds who prefer warmer water than their cold water cousins. Puppy Cam: Debuting earlier this year in conjunction with PUPPY BOWL, the puppies featured from Washington Animal Rescue League (as with the kittens) are all available for adoption through Petfinder. Sea Nettle Cam: A living meditation for people who need a break in the day, this explore.org cam features the hypnotic Japanese sea nettles from the Vancouver Aquarium. Wild Bird Cam: Who will come visit theAnimal Planet L!VE birdhouse? Take your perch and see! “Our success with Animal Planet on TV has been due in large part to listening closely to our audience. Their overwhelming response to PUPPY BOWL and ourPuppy and Kitten Cams led us straight to Animal Planet L!VE,” added Marjorie Kaplan, President and General Manager, Animal Planet. “Animal Planet L!VE is an exciting evolution and expansion of the Animal Planet brand. Whether you want the Pacific Reef Cam on during your house party or you'd rather wake up with the Wild Bird Cam chirping in the background, with this digital destination we’re bringing the cute, the cuddly, the mesmerizing and even the creepy to our fans 24/7 as only AnimalPlanet can." Animal Planet L!VE currently is available across desktop and mobile platforms atAPL.TV and on Samsung Smart TVs this Thursday, and will be coming to Roku and Xbox LIVE in the coming months. Animal Planet Media (APM), a multi-media business unit of Discovery Communications, is the world's only entertainment brand that immerses viewers in the full range of life in the animal kingdom with rich, deep content via multiple platforms and offers animal lovers and pet owners access to a centralized online, television and mobilecommunity for immersive, engaging, high-quality entertainment, information and enrichment. APM consists of the Animal Planet television network, available in more than 96 million homes in the U.S.; www.animalplanet.com, the ultimate online destination for all things animal; the 24/7 broadband channel, Animal Planet Beyond; and other media platforms including a robust Video-on-Demand (VOD) service; mobile content; and merchandising extensions. Discovery Communications (Nasdaq: DISCA, DISCB, DISCK) is the world's #1 nonfiction media company reaching more than 1.8 billion cumulative subscribers in 218 countries and territories. Discovery is dedicated to satisfying curiosity through 155 worldwide television networks, led by Discovery Channel, TLC, Animal Planet, Science and Investigation Discovery, as well as U.S. joint venture networks OWN: Oprah Winfrey Network, The Hub and 3net, the first 24-hour 3D network. Discovery also is a leadingprovider of educational products and services to schools and owns and operates a diversified portfolio of digital media services, including Revision3. Formore information, please visitwww.discoverycommunications.com. world-class family attractions dedicated to “Celebrating the Wonders of Nature.” Based in New Orleans, it operates the Audubon Zoo, Audubon Center for Research of Endangered Species, Audubon Aquarium of the Americas, Audubon Park, Woldenberg Riverfront Park,Entergy IMAX Theatre, Freeport-McMoRan Audubon Species Survival Center, Wilderness Park, Audubon Louisiana Nature Center and Audubon Insectarium at the U.S. Custom House on Canal Street. More than three million people each yearvisit Audubon Nature Institute’s facilities. Find out more by visiting audubonInstitute.org. 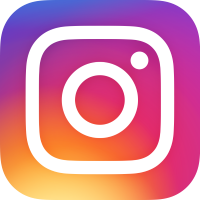 explore.org is a philanthropic media organization and multi-media division of the Annenberg Foundation. Created by filmmaker and philanthropist Charles Annenberg to champion the selfless acts of others, inspire lifelong learning and help people fall in love with the world again, explore.org is home to more than 300 original films and a massive library of world-class photography from all over the globe. In addition, explore.org is home toPearls of the Planet, a growing collection of live HD cameras that provide people with an unprecedented view into the lives of amazing animals and beautiful places around the world. As an advertising-free philanthropic media organization, explore.org prides itself on purity and regularly provides grants to organizations focused on improving the human condition and the planet. National Aquarium is a nonprofit organization whose mission is to inspire conservation of the world’s aquatic treasures. It champions environmental initiatives by engaging with visitors, volunteers, education groups and schools to actively participate in the preservation of the world’s natural resources and living-systems. National Aquarium, in Washington, D.C. and Baltimore, MD, delivers meaningful experiences through its engaging living collections; science-based education programs and hands-on conservation efforts in the field from the Chesapeake Bay to Costa Rica; and partnerships and alliances with like-minded organizations around the world. For more information on National Aquarium, visitwww.aqua.org. South Mountain Creamery is Maryland’s first on-the-farm dairy processing plant that delivers farm fresh and all-naturalproducts door to door. In operation since 2001, South Mountain Creamery is family owned and operated and delivers to over 8,000 home delivery customers in MD, VA, PA, WV, and DC. Products available for delivery include glass-bottled milk, certified humane eggs, meats, cheeses, yogurt, ice cream and much more. Located in Middletown, MD, Karen’s Kountry Farm Store sells the same products available for delivery and allows customers to feed baby calves, watch cowsbeing milked, and to take a guided tour. South Mountain Creamery’s goal is to instill healthy eating habits, educate about the benefits of local agriculture, and provide a sustainable future for our children. If you want your milk straight from the cow, you have to call South Mountain Creamery! The Washington Animal Rescue League, a private non-profit organization, was recently named one of the top ten emergency rescue partners in the nation by the Humane Society of the United States. Entering its 99th year, the League has a mission to rescue, rehabilitate, andrehome animals who have nowhere else to go. Its facility is painstakingly designed from the animals’ point of view to make it one of the most humane animal shelters in the world. The League is also home to a full-service Medical Center, serving the companion animals of income-qualified pet guardians, aswell as shelter animals. The League is located at 71 Oglethorpe Street, NW,Washington, DC. Visitwww.warl.org and lend your support atwww.warl.org/Donate. Ustream is the leader in live social video streaming technology, powered by the company’s proprietary Ustream Cloud Platform. Ustream’s Pro Broadcasting and Premium services enable broadcasters of any size – from entertainers to consumers, to companies to non-profit organizations – to easily connect, broadcast, and engage in real-time. Founded in 2007, Ustream is a San Francisco-based company that has grown to more than 180 employees within their San Francisco, Los Angeles, and Budapest offices. Company partners include Panasonic, Samsung, Logitech, CBS News, PBS NewsHour, and Viacom. Ustream is a privately owned company. For more information on Ustream, visitUstream.tv, Twitter.com/Ustream, or Facebook.com/Ustream. New York, NY – The holidays are a fun and happy time, but they are also extremely hectic. One family member that can get lost in the hustle and bustle is the dog. Because of the added stress and frequent travel that the holidays can bring, the American Kennel Club (AKC®) offers safety tips for dog owners, and also reminds those considering adding a dog to their home this holiday season that puppies are not stocking stuffers. Puppies are a life-time responsibility and their first few weeks at home are critical – they require a great deal of time, attention, and love. With the disrupted schedules and chaos of the holidays, it would be extremely difficult to set aside the time a puppy needs during this important stage of its life. Moreover, the many holiday hazards that affect adult dogs are often compounded for a new puppy in an unfamiliar setting such as his new home. Holiday visitors coming to your home may not be dog owners and can inadvertently leave doors open which let dogs escape and could confuse new puppies who are not familiar with the family yard yet. Avoid using food such as popcorn or cranberry strands when decorating your home or Christmas tree. If eaten, they can cause blockages, which can require surgery to remove. Puppies are notorious chewers when young. Place anything shiny, such as ornaments, tinsel, glass bulbs, and things that sparkle and catch your dog’s eye, higher up on your tree where he can’t reach them. Ingesting ornaments can cause major problems for your dog or puppy. Real Christmas trees, poinsettias, holly, and mistletoe all can be dangerous for your dog. Consider having an artificial tree, but if you do have a natural one, make sure your dog doesn’t swallow the pine needles or drink the tree water which can cause stomach irritation. Poinsettias, holly, and mistletoe should be kept out of your dog’s reach, as they can be poisonous to pets. Exposed wires from holiday lights pose a threat to your inquisitive puppy – if he chews on them, he could be electrocuted. Tape indoor wires to the wall and outdoor wires to the side of the house where your dog can’t reach them. Rambunctious puppies can also knock over lit candles causing house fires and receive serious burns from hot wax. They may also be inclined to investigate a fireplace too closely. Common holiday foods such as chocolate, butter, meat, and candy can make your dog very ill. Don’t let your puppy’s cute adorable eyes convince you that they should be given a treat. Take care to keep these foods out of reach. Additional holiday pet safety tips can be found at https://www.akc.org/press_center/facts_stats.cfm?page=13. The American Kennel Club (AKC), proudly celebrates its 125th Anniversary in 2009. Since 1884 the not-for-profit organization has maintained the largest registry of purebred dogs in the world, and today its rules govern more than 20,000 canine competitions each year. The AKC is dedicated to upholding the integrity of its registry, promoting the sport of purebred dogs and breeding for type and function. Along with its nearly 5,000 licensed and member clubs and its affiliated organizations, the AKC advocates for the purebred dog as a family companion, advances canine health and well-being, works to protect the rights of all dog owners and promotes responsible dog ownership. Affiliate AKC organizations include the AKC Humane Fund, AKC Canine Health Foundation, AKC Companion Animal Recovery and the AKC Museum of the Dog. For more information, visit www.akc.org. The subsidy per dog or puppy can be used for anything from crates and gasoline purchases for transport vehicles to “make-ready” veterinary services for the dogs (i.e. spay/neuter, health certificates, vaccines) that will prepare them to leave the shelter. Participating organizations may also choose to give all or part of the money to the rescue groups or destination shelters that take the dogs, helping to offset their costs. The subsidy will only apply to lives saved above and beyond each participating groups previous year's numbers. Thomas, a six-month old, extremely timid pup was surrendered to the shelter by his owner along with his four other siblings in June 2012 because their health was declining and they could not properly care for Thomas. The dog’s littermates were relatively easy to find homes for, but Thomas was overlooked because he was so shy. The shelter staff tried to encourage him to play with other puppies his same age and size, but he’d soon find a corner to curl up in or hide behind a dog house. Every day, staff worked on socializing him to people and other animals, and every day he showed a little improvement. One of OLHS’ rescue partners, Southern Jewel Dog Rescue in Olive Branch, Miss. expressed an interest in him, and after he was transferred to their rescue, they continued to help him along his journey to becoming a happy, friendly pup. Thomas was adopted in a matter of days to a loving family in New England.